Drag race torque converters feature 100% new furnace brazed fins, hardened steel pump hubs, three sets of torrington bearings, and high load steel sprag assembly. 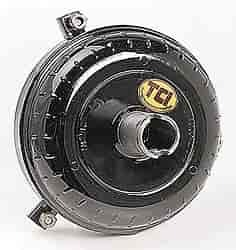 Applications for 8-inch drag race torque converters vary according to your specific application. For best results, follow the guidelines below.